Manual Planes Are Used For Sharpening A Variety Of Plastic And Woodworking Materials. 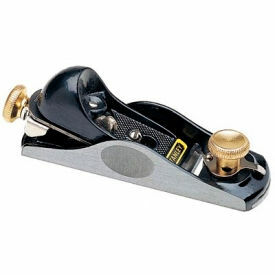 Manual planes are made of cast iron, hardened steel for long lasting durability. Features depth and lateral cutter adjustment for precise shaving control. Rotary ground to flat surface for easier sharpening and can be honed to razor sharp edge. Plane system offers precise sharpening of chisel and plane cutter edges. Includes oilstone, white oil and honing guide. Blade size dimensions vary per model. Portable Planer Accessories Are Used For A Variety Of Woodworking And Construction Applications. Portable planer accessories are made of high quality materials for long lasting durability and dependability. Planer accessories include micrograin carbide blades resistant from nail and staple strike fractures lasting up to 2 times longer than standard carbide blades. Powerful 6.0 amp motor provides fast stock removal and smooth finish. Electronically-counterbalanced single-blade system automatically positions blade at cutting angle reducing drag and eliminating uneven planing caused by misaligned blades. Ratcheting depth knob allows fool-proof setting of depth increments within one revolution. Edge guide fence ensures consistency. 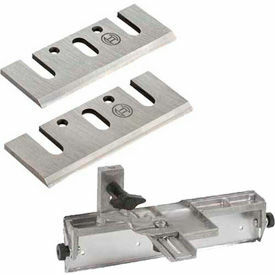 Springloaded park rest and protective shield protects blade in or out of use. Ambidextrous lock-off release button prevents accidental starts. Double insulated, UL listed, complies with OSHA. Sizes vary per type.